The film documents the band's Joshua Tree Tour of the United States and the band's experiences with American music. Although the album and motion picture were intended to represent the band paying tribute to rock legends, critics said that U2 were trying to place themselves amongst the ranks of these artists. The movie is a rockumentary, released in theaters in 1988 and on video in 1989. It was produced by Michael Hamlyn and directed by Phil Joanou. It incorporates live footage with studio outtakes and band interviews. The album is a mix of live material and new studio recordings that furthers the band's experimentation with American music styles and recognises many of their musical influences. It was produced by Jimmy Iovine and also released in 1988. 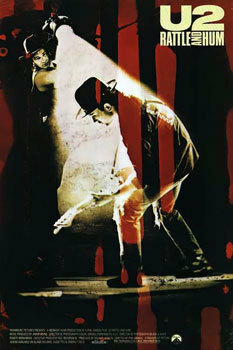 The title, "Rattle and Hum", is taken from a lyric from "Bullet the Blue Sky", the fourth track on The Joshua Tree. 20. "All I Want Is You"